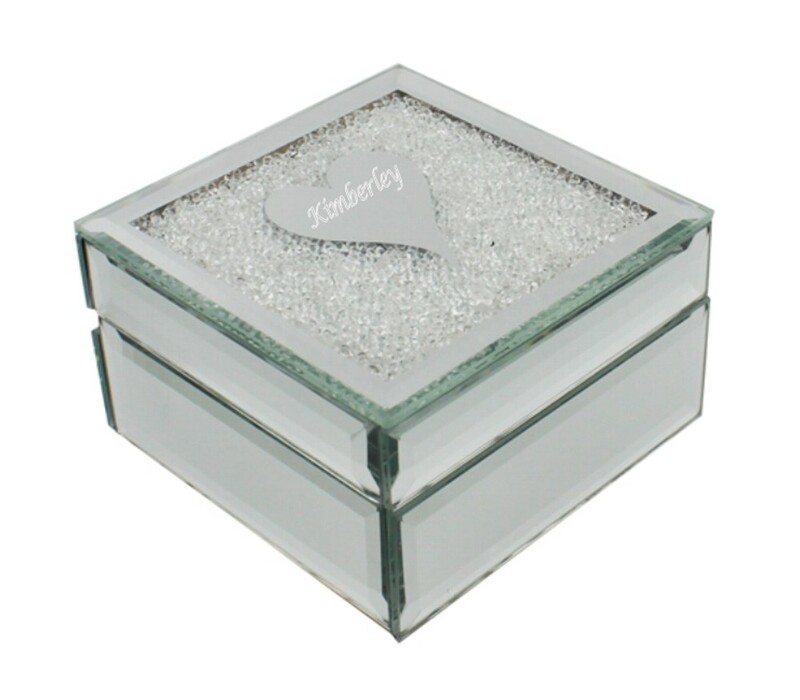 Personalised Engraved Glass Love Heart & Glitter Design Trinket / Jewellery Box. The lid of the box is hinged and has a black velvet lining. It measures 100 x 100 x 60mm and will be engraved on the glass lid within the heart design area. Please keep your text to a minimum so that your text size isn't affected.